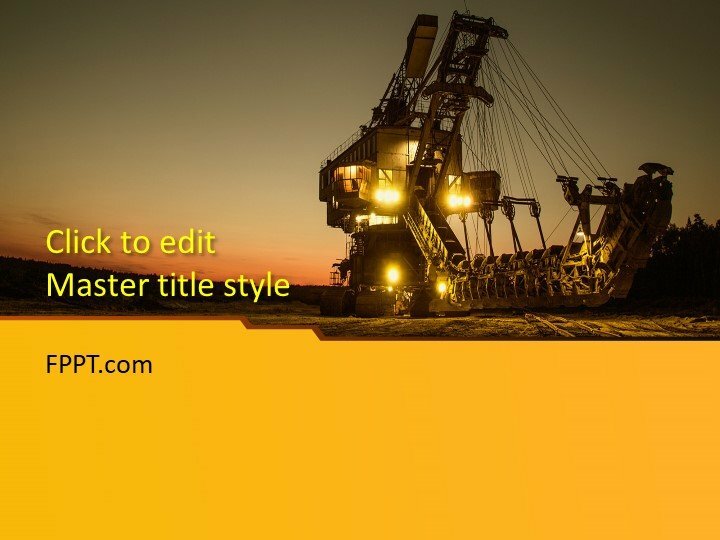 The present picture of heavy construction machinery is a subject oriented picture for presentation templates. 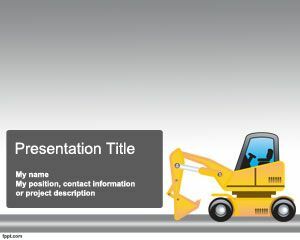 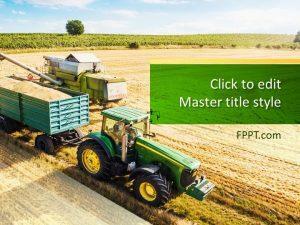 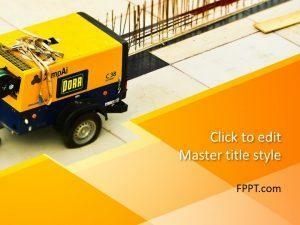 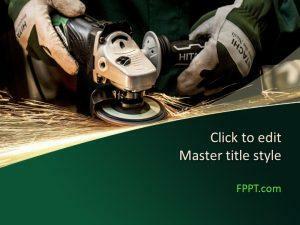 This Free Heavy Equipment PowerPoint Template is ready to be used in the presentation of construction projects, civil engineering, heavy machinery, and tools. 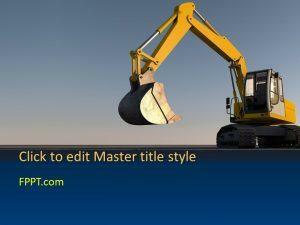 The picture of heavy construction machinery gives a professional look to it. 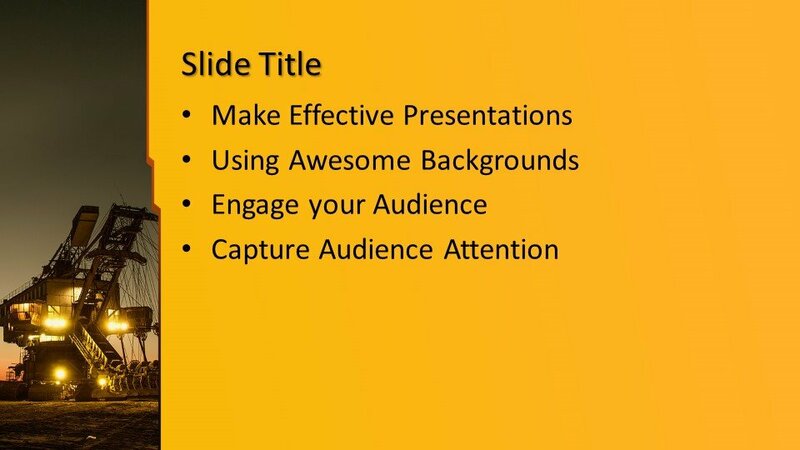 The user can place it in the background of PowerPoint template or can use it in slide designs. 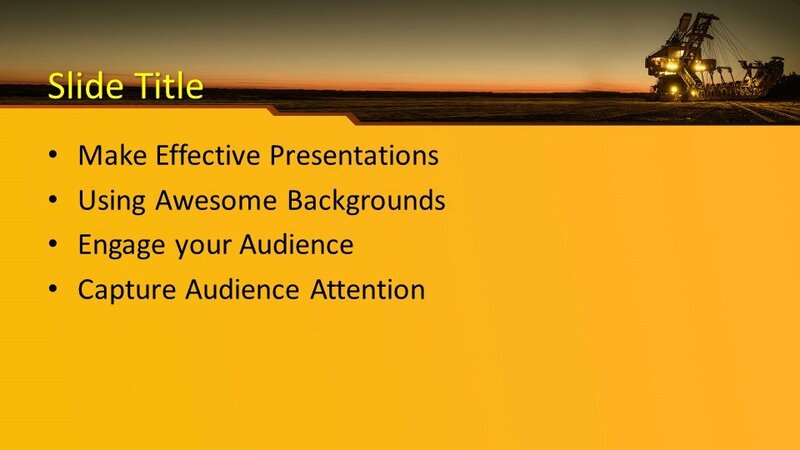 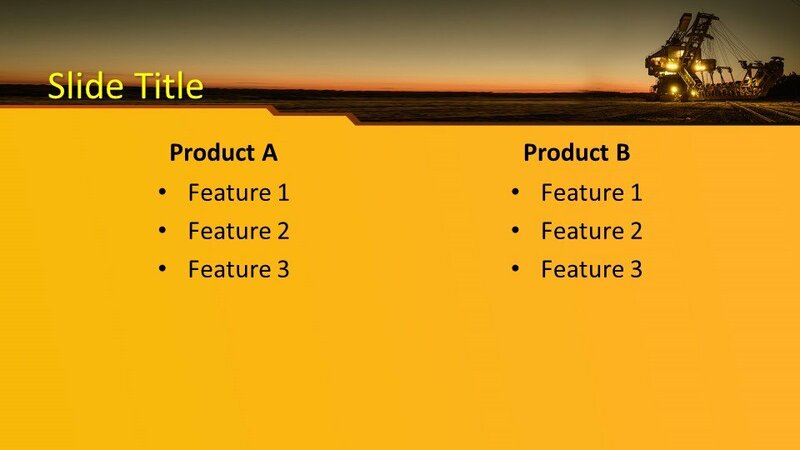 This design has three more slides of PowerPoint for further placement of context. The user can customize the template design and make it according to his needs. 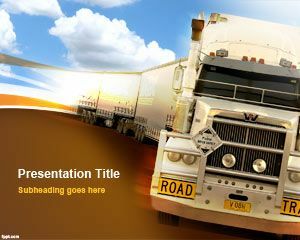 It is also made compatible with latest versions of PowerPoint software 2010, 2013, 2016 and Office 365.